Jahangir Tareen, considered one of the wealthiest legislators of Pakistan, was disqualified on Friday by the Supreme Court from holding public office for not being entirely truthful about the ownership of a property in London. 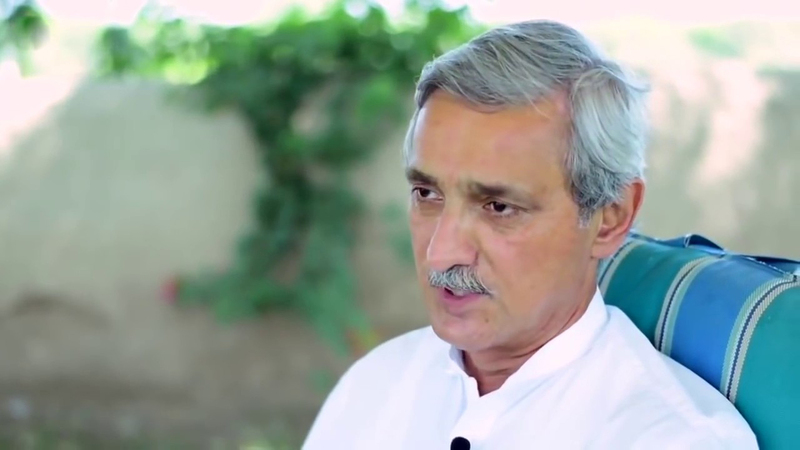 Tareen had started his political career in 2002 after being elected to the National Assembly on a PML-Q ticket. The Forman Christian College alumnus had served as an advisor to former Punjab chief minister Chaudhry Pervaiz Elahi on agriculture and new initiatives. In 2004, Tareen was inducted into the federal cabinet and served as a minister with the portfolio of industries, production and special initiatives under former president Pervez Musharraf. He was re-elected as a member of the National Assembly, in 2008, for the second time from NA-195 (Rahim Yar Khan – IV). In late 2011, Tareen had initially planned on forming his own party of ‘clean politicians’, joined the Pakistan Tehreek-i-Insaf (PTI), according to him his plan was similar to that of PTI chief Imran Khan’s. Two years later, Tareen contested ─ and lost ─ the 2013 general elections from a seat in Lodhran district — a place he has heavily invested in terms of business, charity, and development. However, after the Supreme Court annulled the results of the elections citing irregularities, Tareen defeated his opponent by a margin of over 35,000 votes in by-polls held for the same seat. In 2016, disagreements between Tareen, as PTI’s secretary general, and other party members had come up after he became involved in a clash against the party’s youth wing. After that, PTI Additional General Secretary Saifullah Niazi had resigned from his post after developing differences with Tareen, as he alleged. Shah Mehmood Qureshi, the vice chairman of PTI, had also openly spoken against Tareen, at a campaign for intra-party elections in Lahore in November last year. “The workers’ ideology will defeat the power of money,” he had said. Eventually, Imran Khan had tried to resolve the differences both by making the two shake hands and, consequently, Qureshi denied his own statement. Jahangir Tareen, one of the wealthiest politicians, owner of thousands of acres of farmland, a private plane and running some of the largest sugar mills in the country, has remained a controversial figure during his time in politics. It was Rahim Yar Khan where he owned his first sugar mill.from his father-in-law, Makhdoom Hasan Mehmood, a prominent political figure in the 1970s and 1980s. Tareen is known to fund many of the protests and anti-government rallies held by the PTI, during which he is often seen standing beside Khan, which almost proves his detractors claim that he is someone who is able to buy influence. In April 2016, he admitted to having an offshore company registered in the United Kingdom in the name of his children. The case had come at a time when the PTI had begun appealing for the resignation of former prime minister Nawaz Sharif in light of the Panama Papers leak. Allegations of money laundering and defaulted loans continued to haunt Tareen when PML-N’s Hanif Abbasi filed a petition against him and Imran Khan in November the same year. The petition accused the two PTI leaders of not declaring their assets to the Election Commission of Pakistan (ECP) and sought to unseat them based on alleged violations of the Income Tax Ordinance 1979 and the Representation of Peoples Act 1974. The petition also accused the PTI, being a ‘foreign-funded’ party. From May 2017, Tareen remained a significant figure in the case’s hearings, as his lawyer answered the Supreme Court’s questions on his property in Britain, an offshore company, a trust through which he allegedly bought property for his children, and his leased land, among other things.